The Bible is full of answered prayers, yet many are not convinced that God will answer their prayers today. What are the keys to having our prayers answered? Many believe in God, but they aren’t sure He hears them or answers their prayers. Perhaps they have tried to pray, but they did not receive an immediate answer or maybe the opposite of what they prayed for happened. Perhaps they feel God has ignored them. The Bible contains many accounts of prayers being answered and other examples of requests that were not fulfilled. What does the Bible say about which prayers God answers—and when? Note that this article is written for people who believe in God. Though answered prayer can actually be an additional proof of God’s existence to those who believe, it will not convince the skeptic. This article is designed to help those who are being called by God realize He is interested in them and will answer their prayers (Luke 11:9-13; 1 John 3:22). One of the keys to answered prayer is having a humble heart of obedience toward God. This is how we show love toward God (1 John 5:1-3). In the course of time the armies of Moab and Ammon set themselves to attack Judah (2 Chronicles 20:1). Jehoshaphat responded to this threat by seeking God and proclaiming a fast throughout Judah (2 Chronicles 20:3). God heard the prayer of Jehoshaphat and the people of Judah and told them, “You will not need to fight in this battle. Position yourselves, stand still and see the salvation of the LORD, who is with you” (2 Chronicles 20:17). The rest of 2 Chronicles 20 records the awesome miracle God used to deliver Judah. God heard the prayer of a righteous man—Jehoshaphat, who led Judah in seeking God. Many other examples and passages in the Bible show whose prayers God hears and answers. We are told several times in Scripture that Abraham’s faith and belief in God was accounted to him for righteousness (Romans 4:3; Galatians 3:6; James 2:23). Abraham was God’s friend because of the faithful, obedient heart that Abraham had. And the apostle James stated, “The effective, fervent prayer of a righteous man avails much” (James 5:16). Abraham sought righteousness. If we seek righteousness as he did, God will hear our prayers. Righteousness is something a Christian strives for. “Seek the LORD, all you meek of the earth, who have upheld His justice. Seek righteousness, seek humility” (Zephaniah 2:3). Jesus Christ said, “But seek first the kingdom of God and His righteousness, and all these things shall be added to you” (Matthew 6:33). As we study the Word of God, we learn that righteousness is a growth process. The apostle Paul shared this theme of growth with the Christians in Thessalonica: “We are bound to thank God always for you, brethren, as it is fitting, because your faith grows exceedingly, and the love of every one of you all abounds toward each other” (2 Thessalonians 1:3). And the prophet Isaiah adds, “Seek the LORD while He may be found, call upon Him while He is near. Let the wicked forsake his way, and the unrighteous man his thoughts; let him return to the LORD, and He will have mercy on him; and to our God, for He will abundantly pardon” (Isaiah 55:6-7). Like the tax collector in Luke 18:13-14, we all sin. Even though we are not perfect, we still can and should go to God. The Eternal God forgives us when we sincerely repent, and He then leads us toward righteousness. As we move toward righteousness, He says He will hear our prayers. “For the eyes of the LORD are on the righteous, and His ears are open to their prayers; but the face of the LORD is against those who do evil” (1 Peter 3:12). Why does God not seem to answer our prayers? Scoffers, skeptics, critics and other nonbelievers in God, as well as some who are beginning a relationship with God, will have doubts. Some who have tried prayer will doubt because they did not receive the answer to their prayer they expected or desired. Therefore, they assume that God must have turned the proverbial deaf ear to their petition. But is that really the case? The apostle James touches on this very subject in his epistle. The world—the society—James lived in was similar to what we endure today, and in his letter he asks, “Where do wars and fights come from among you?” (James 4:1). Don’t make the mistake of just reading over those words! Think deeply about what your answer would be if the question were posed to you. It’s our human nature that begs for self-satisfaction, our ego that wants to be stroked, yet we do not realize that our selfish nature can prevent us from having a solid and good relationship with God! James counters, “You ask and do not receive, because you ask amiss, that you may spend it on your pleasures” (James 4:3). Sometimes God doesn’t give us what we desire because He has something greater in store for us. Sometimes He says, “No, not at this time.” Could it be that our own prayers have been misdirected? Was it a prayer for something we selfishly wanted for ourselves? Could it be we asked amiss? The meaning of the Greek word that James used here (translated “amiss”) means “badly” (Frederick William Danker, A Greek-English Lexicon of the New Testament and Other Early Christian Literature). But does God really hear our prayers today? In probably every congregation of the Church of God you can hear stories of members who have had their prayers answered through healing, protection from danger and help in the challenges of life. In this article, let’s look at just one real-life example from a published account by Herbert W. Armstrong, who led the Worldwide Church of God until his death in 1986. In his Autobiography, Mr. Armstrong wrote of a time during the Great Depression when he was broke and his baby boy was in desperate need of milk. Rag and bottle men collected household items and then tried to sell them to merchants to scratch out a living in those difficult times. “My wife showed him all kinds of things. We expected to get at least a dollar from him. “He only shook his head. “‘No. Nothing here I want,’ he said, starting back up the stairs. “Our hearts sank. Halfway up the steps he stopped, glanced at a high stack of old magazines beside the stairs. Slowly he turned and retraced his steps, examining the stack of magazines. “We gratefully gave God thanks, as I ran all the way to the store and then back with the milk” (Autobiography of Herbert W. Armstrong, Vol. 1, 1986, pp. 401-403). Admittedly, the above example is not as dramatic as people being resurrected from the dead or released from a deadly disease, and it probably won’t impress a scoffer, skeptic or critic, but many people who have started on a new way of life would certainly add their own instances of God answering their prayers. They know God personally heard their prayers and He answered them. 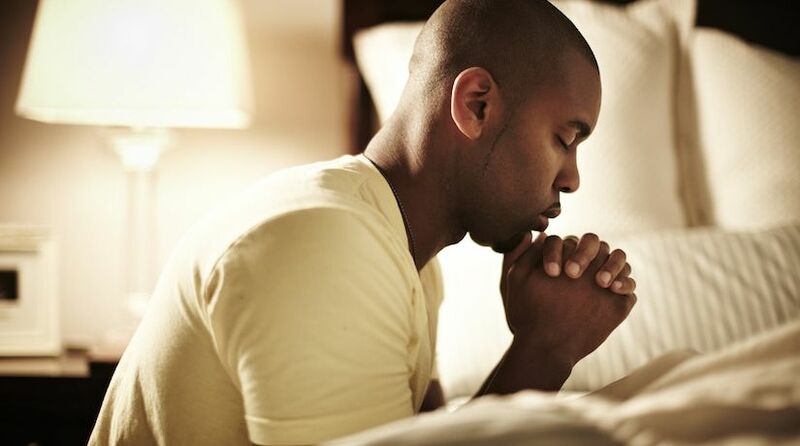 Why not review your own “unanswered” prayers and try praying God’s way? You’ll find that as your meaningful relationship with Him develops, you’ll understand more of God’s answers to your prayers.